The bomber in Activision’s 1981 game KABOOM! is mad. How do we know? The exclamation point in the title, obviously! That doesn’t stop him from dropping bombs with cartoony lit fuses though. What are you supposed to do? Call the bomb squad? Flee the scene? Nope. Just get out you buckets of water and start fielding those explosive pop flies. Miss one and bucket water won’t be only thing splattered all over the computer landscape. Why is all this happening? We’ll blow the lid clean off this mystery. Join us! It’s a Podcast, Charlie Brown – Hey! That’s my other show! Please consider supporting the show financially on our Atari Bytes Patreon page here. 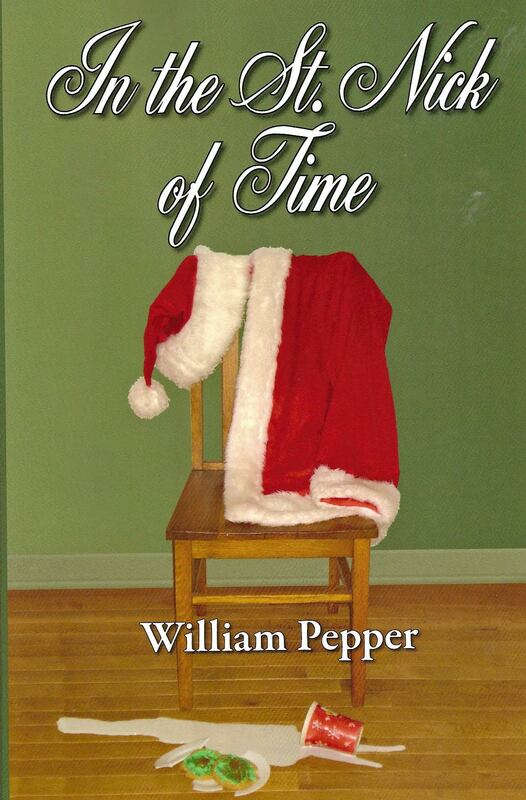 IN THE ST. NICK OF TIME – my novel about three men thrown together during the holidays, one of which is Santa himself. It’s a sort of Santa Claus story for adults. Here’s one of the many places you can get it. **Yes. Yes, it is. From Spectravision, 1982. ***You’re fired. Also, there are no pirates in it. Anyway, I guess this is a game where you fly through some sort of colorful space vortex thing and shoot space saucers that look less like saucers and more like an unnamed licensed property, the name of which, in Pig Latin, is Rsta Swar Eti Rfighte. If you like my podcast: first, thanks! Second, consider checking out my writing! My novel IN THE ST. NICK OF TIME, a sort of Santa Claus story for adults (it even has guns and naughty words!) is available wherever you like to get books. Here’s one of those places. Atari Bytes social media links, show notes, episodes and more here. Please consider supporting the show financially on our Patreon page. You can do that here. I am thankful for all of you. Feeling claustrophobic? Like the walls are moving in on you? No, you’re not coming down from one too many espresso shots. You just have SQUEEZE BOX fever! And you know what they say about fevers: starve a cold and feed a fever, right? Like, maybe, you could feed it some Quaker oats, which would be appropriate since a division of that company, U.S. Games, released SQUEEZE BOX in 1982. And it’s our focus in episode 94. In the game, you’re a prison inmate, desperate to escape as the walls literally squeeze in on you. Don’t worry, though, this isn’t one of those lame prisons where you have to make due with turning a spork into a shank. In this prison, you have your own gun. Why? Dunno. But we’ll make something up! Atari Bytes show notes, social media links and so much more. It’s a Podcast, Charlie Brown – Hey! That’s my other show. Get all your Snoopy news here. Please consider supporting the show financially on our Patreon page here. Thanks in advance! Pick up cool Atari Bytes shirts, mugs, totes, stickers and more at our Zazzle.com store AB_Pod_Store here. The holiday season is upon us. If you’d like to check out my novel IN THE ST. NICK OF TIME, please do! Here’s one place you can do that. This Santa Claus story for adults is available anywhere you buy books and makes a great physical and/or digital stocking stuffer! The 1982 Telesys game FAST FOOD recalls a more innocent era – high calorie snacks. Parachute pants. Urkel. We know the mission in the game is to gobble as much food as you can (We Americans do love our excessive consumption!) and we know WHAT to eat. (Hold the purple pickle!). But do we know WHY we eat? It’s a Podcast, Charlie Brown – Got a hankering for some Peanuts? This show has you covered! Support the show financially on our Patreon page. Thanks in advance!